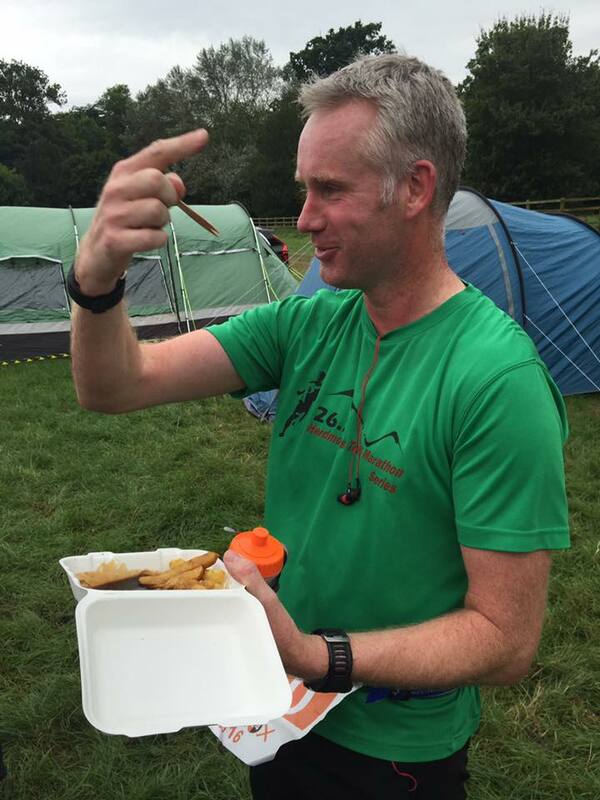 Running for 24 hours – madness? No, just another weekend for Striders! The weekend was full of running for Striders members, with the club represented at nine different events, including the Equinox24 event where 16 club members decided that it would be good to run around a 10km course for 24 hours! More on Equinox later as we start our roundup with the Saturday parkrun results – including a pilgrimage to the location of the first ever parkrun event. Bushy Park was where the first ever parkrun took place and it has now been visited by its first Knaresborough Strider – Tom Calvert. Tom completed the course in 18:01 to set a benchmark for any future Striders visitors! Closer to home, Rob Earl recorded a time of 18:16 at the Harrogate event, where he was joined by Nick Wallen who smashed his PB with a time of 22:26. Over in York, Paul Heywood recorded a course PB in 23:21 and setting an overall parkrun PB was Edna Wood with a time of 27:24. Good PBing! On a sunny morning at Fountains Abbey, David Halladay stopped the timers watch on 26:30. Racing in the Sun….on a Sunday…. 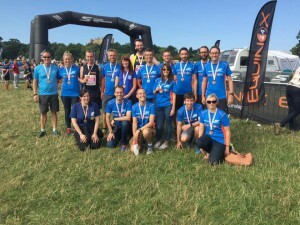 On a warm day for running, the club was represented at four local events on Sunday. Firstly at the inaugural Harrogate Haverah Trail Race, which took participants over a 10 mile multi terrain course, four Striders were in attendance. James Warburton took 4th place with a time of 01:07:04. He was chased down by Charlotte Hines (01:47:03), Katie Gray (02:08:06) and June Graham (02:08:07). Straight after the Haverah event, James made his way over to Skipton for the Embsay Crag Fell Race. This event is 2.9miles in length but has a nasty sting of a total accent of 800ft. James set a time of 22:21 and was joined by club coach Eric Morley who completed the event in 39:31. In Tadcaster, Guy Close and David Halladay took on the revived Tadcaster 10 mile race. The event has been absent for 10 years so it’s great to see it back on the racing calendar. Guy achieved a time of 01:05:31, with David following to record a time of 01:17:30. Over in Leeds, the yearly Kirkstall Abbey 7 mile race was attended by Rob Earl and Dawn Richardson. 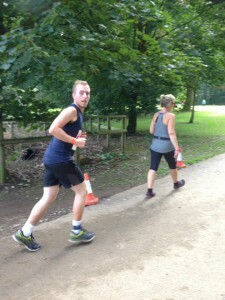 Rob was participating in the event for the first time and clocked 41:19, with Dawn recording a course PB of 01:05:38. 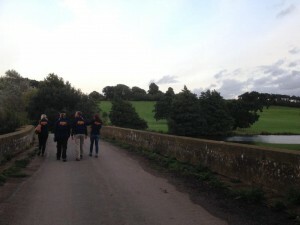 Equinox24 – What a weekend! In simple terms, the event is held over a 10km course, with participants aiming to complete as many laps as possible within a 24 hour time limit. 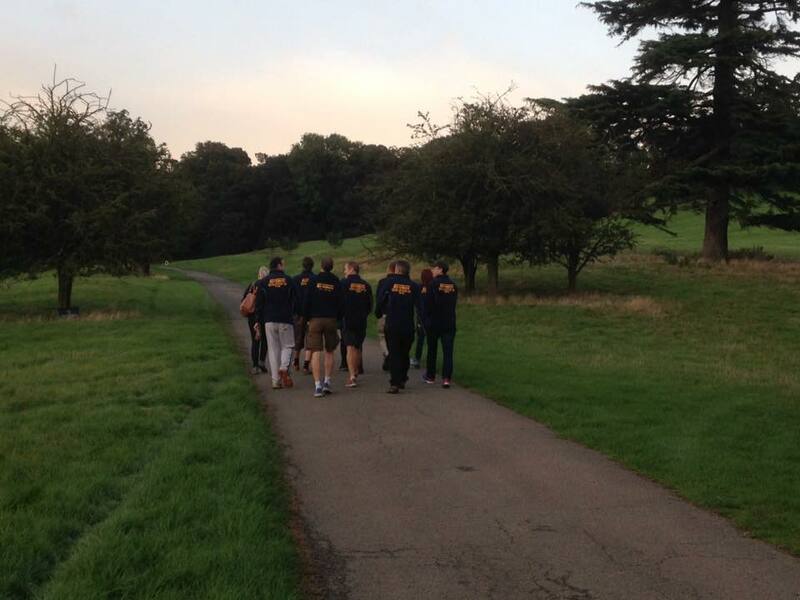 The course was multi-terrain and had two hills to deal with – not a problem for those that take on Eric’s Tuesday training sessions! It was a wet start to the trip on Friday afternoon with the tent pitching take place in wet conditions but after a chilled out (dry!) evening (which included Andy Robinson and Martin Brock taking on the Beer Mile race – finishing 2nd and 3rd respectively) the Striders were chomping at the bit to get going at 12 Noon on Saturday. The mass start of Solo runners, Pairs, Small teams (up to 5 people), Large teams (up to 8 People) and 10k runners was a great sight and set the tone for the rest of the 24 hour period. Martin Brock (Team 1) and James Wright (Team 2) took on the anchor legs before handing over to Andy Robinson and Sean Brennan respectively. 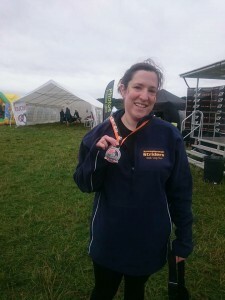 As already mentioned Emma Hall took on the 10k standalone race and completed the course despite running with an injury (hope it heels up soon Emma) in a time of 01:45:03. The afternoon and early evening were perfect for running – cool with no wind. The changeovers were slick and the plan put in place before the event was … going to plan! As the night drew in, head torches were attached, normal sleep patterns went out of the window and extra layers were put on. Running in the early hours of the morning was certainly something different but the course was well marshaled throughout and it was a fantastic sight to see all of the runners head torches bobbing through the woods and hillside that the course went through. At around 06:30, a magnificent sunrise came up over the venue and brought with it warm temperatures for the last laps of the event. As the clock counted down, tactics were brought into play to ensure the maximum number of laps could be completed by each team with us been mindful that as long as you had handed over the ‘batton’ by 11:59:59am, you could get a final lap in. 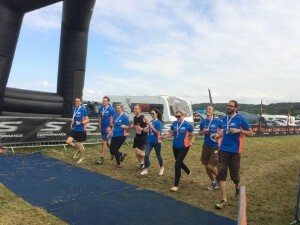 With the clocking ticking over the 24hour mark, the atmosphere at the finish line was fantastic, with teams coming over the line together, solo runners punching the air after completing the mammoth solo challenge and even the man with a tumble dryer on his back had a sprint finish and a smile (he did 10 laps – amazing!!). For Team 1, Jonny Chadwick ran the final lap taking them to a total of 27 laps (167.4 miles) in an overall time of 24:42:19. 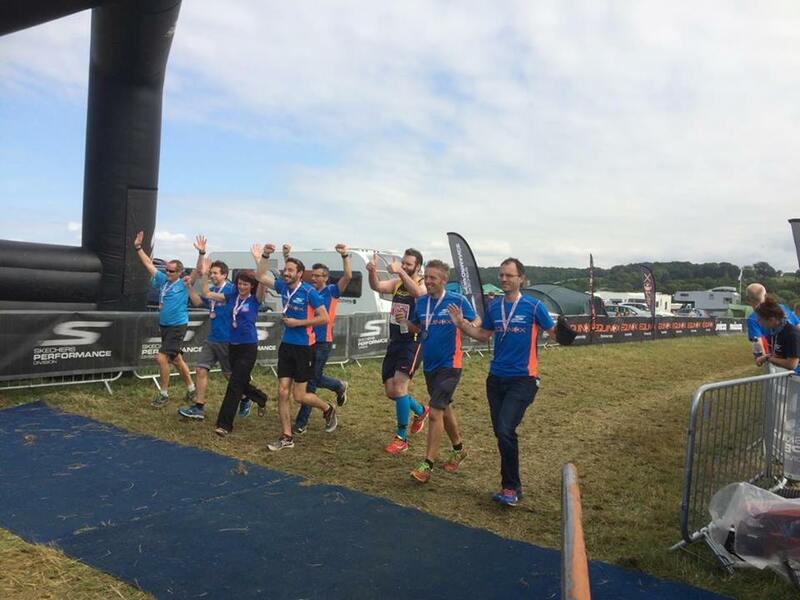 Team 2 were brought across the line by Mark Shelton, bringing them to total of 29 laps (179.8 miles) in a running time of 24:45:51. 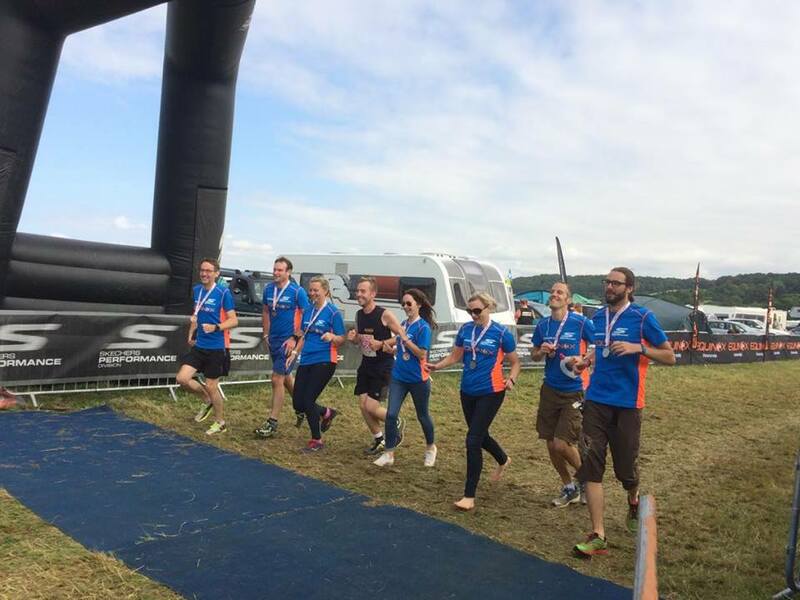 The overall results had Team 1 finishing 21st in the Large Team category and 32nd overall (out of 227 teams). Team 2 were 11th in category and 15th out of 227 teams overall. The lap times can be found here for Team 1 and here for Team 2. Taking on the Solo event was Graham Yare who loves this kind of challenge! 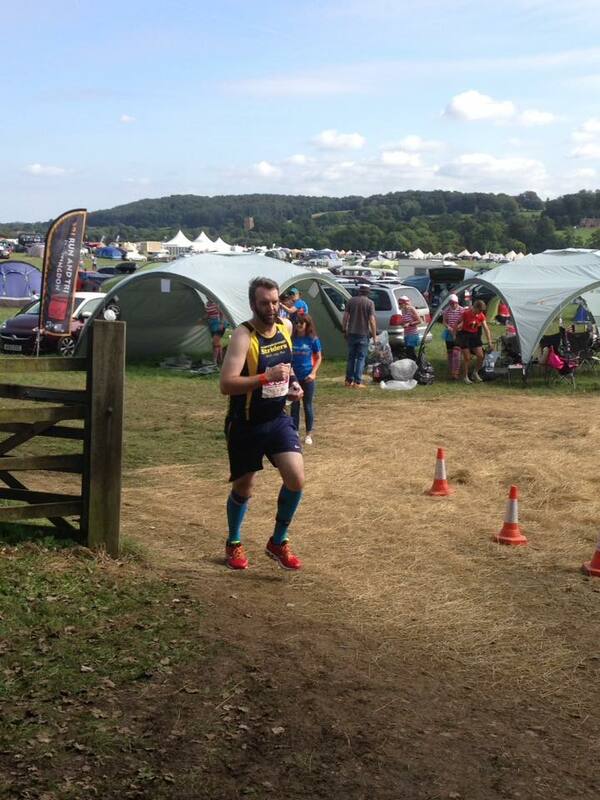 Despite having an injury, Graham completed 7 laps (43.4 miles) in overall on course running time of 10:31:20. He came to the event aiming to complete 5 laps so to complete a further 2 is testimony to Graham’s ability to go through the pain barrier when most of us would give up. Hats off to you Mr Yare! Overall, the Equinox24 was a stupendous event and a big pat on the back to all who attended and made it weekend to remember. Such fun was had that the event is now likely to become a long term stamp on the Striders calendar so if you would like to take part in 2017, please see James Wright to register your interest. It would be great to enter at least 3 teams next year so get the 23rd and 24th September 2017 in your diaries!